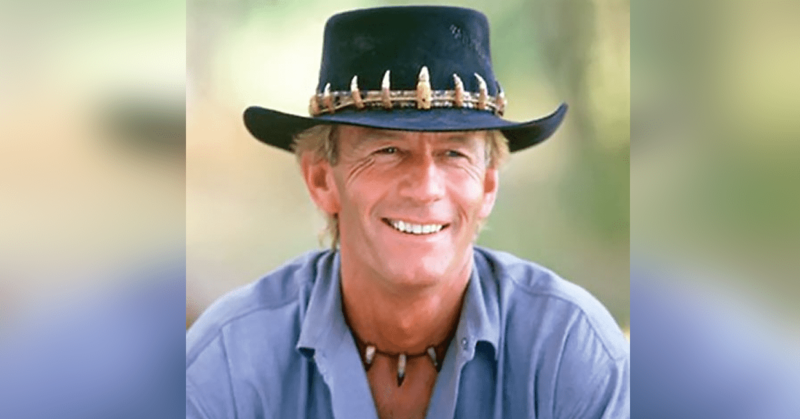 Would You Recognize Australian Actor Paul ‘Crocodile Dundee’ Hogan Today? Remember Crocodile Dundee? 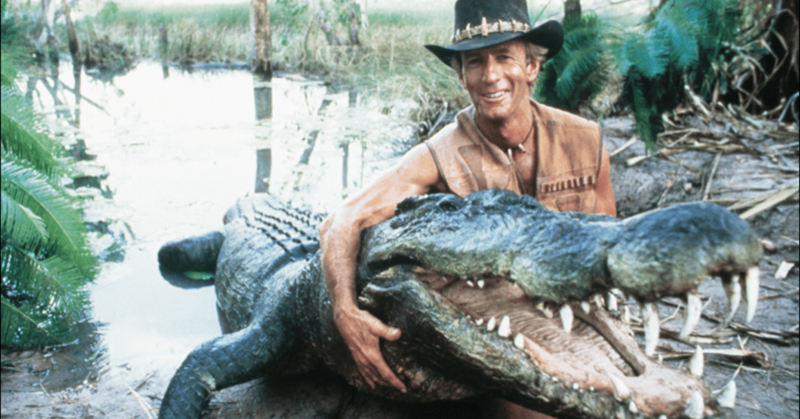 The movie made Paul Hogan known all over the world as the lovable do-gooder with a grin, oh and a knack for catching crocodiles. 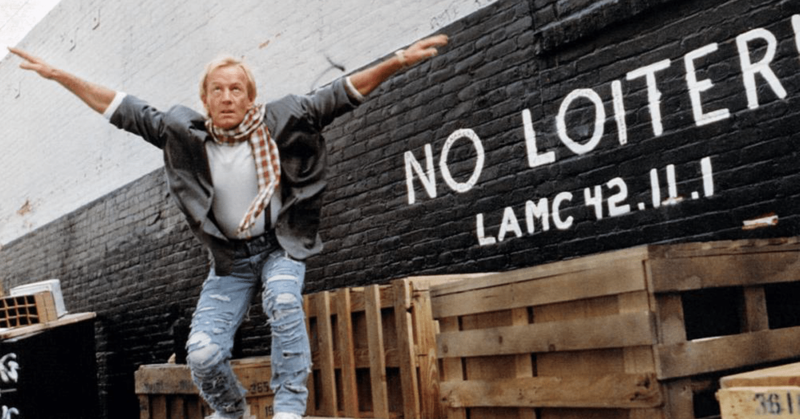 Paul Hogan’s first public appearance was on Australian television, the Nine Network’s amateur talent program New Faces in 1971. Hogan had observed to his Harbour Bridge workmates that the program’s entertainment value relied significantly on the judges ridiculing and belittling the performers, and suggested the judges deserved similar treatment. Hogan inveigled his way onto the program by claiming to be a “tap-dancing knife-thrower”. Hogan appeared on stage in his work boots, holding kitchen knives; he performed a rudimentary shuffle, threw the knives onto the floor and proceeded to make a series of jokes at the judges’ expense. Strong positive response from the viewing public saw Hogan invited back for repeated performances on New Faces; in another of these, he proposed to “play the shovels”, which consisted of banging two shovels together a few times before making a series of jokes. Hogan’s natural ability as a comedic performer attracted the attention of Mike Willesee, host of Nine’s news magazine program A Current Affair. Willesee offered Hogan regular appearances on the show, during which Hogan would make humorous comment on some issue of the day. During this time Hogan befriended Current Affair producer John Cornell, who became Hogan’s manager and business partner. 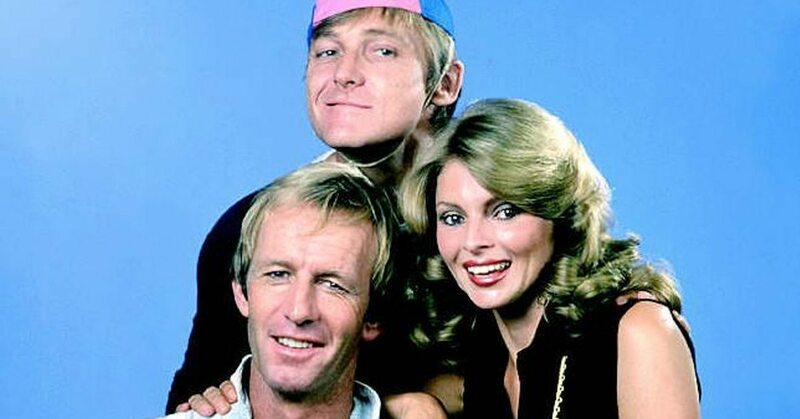 Hogan followed this with his own comedy sketch program The Paul Hogan Show, which he produced and wrote, and in which he played characters with Cornell and Delvene Delaney. In 1985, Hogan starred as an Australian World War I ‘digger’ named Pat Cleary in the critically acclaimed mini-series Anzacs which aired on the Nine Network. Cleary was described as the quintessential Aussie larrikin and series writer John Dixon wrote the part of Cleary with Hogan in mind. The series included a “who’s who” of Australian television and film actors of the day including Jon Blake, Andrew Clarke, Megan Williams, Tony Bonner, Bill Kerr, Ilona Rodgers, Vivean Gray and Robert Coleby. 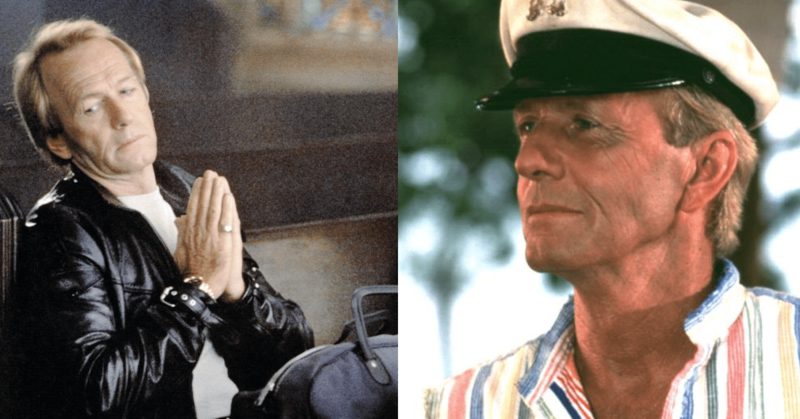 In the early 1990s, a Paramount executive pitched a concept of a Crocodile Dundee / Beverly Hills Cop crossover movie. Hogan refused the starring role in the hit film Ghost, choosing instead to make Almost an Angel. In 1994 Hogan co-produced, wrote and starred in the Western comedy film Lightning Jack. In 1996 Hogan starred in a remake of the 1963 film Flipper, a family-friendly movie about a dolphin. In 1998 he co-starred in the made-for-TV drama Floating Away, an adaptation of the Tim Sandlin book Sorrow Floats. Hogan played ‘Shane’, a recovering alcoholic. In the late 1990s and early 2000s, he was featured in advertisements for the Subaru Outback. 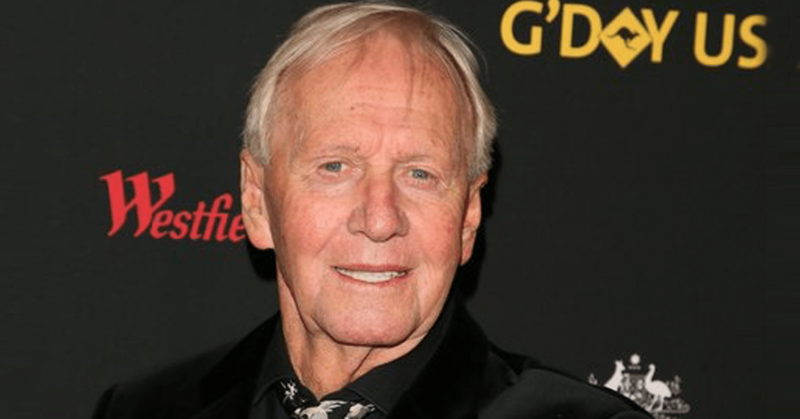 In 2001, Hogan returned to the role that made him famous with Crocodile Dundee in Los Angeles. In 2013, 2014 and 2015 Hogan embarked on live stand-up performances throughout Australia. The 2013 An Evening with Hoges tour featured capital cities only but the 2014 tour Hoges: One Night Only featured 25 locations including regional Australia. 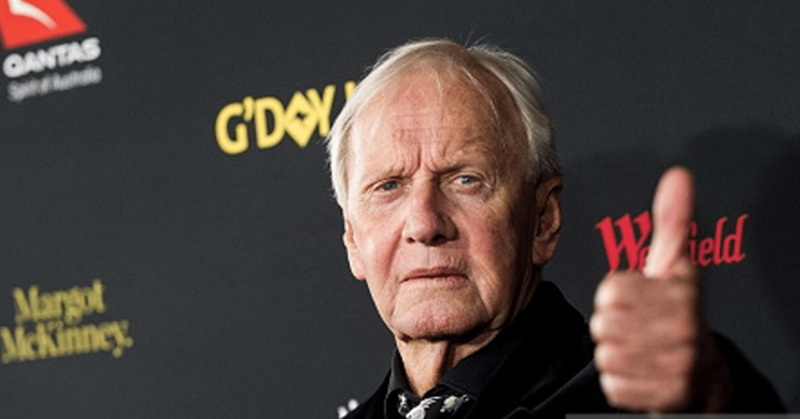 2015’s Hoges: Live saw shows in Hobart, Melbourne and Sydney only. Some of this material was shown in the 2014 documentary Hanging with Hoges, in which Hogan was interviewed about his life and career by Shane Jacobson. In 2016 Hogan received the Longford Lyell Award for an outstanding contribution to the Australian screen. Hogan joked he’d only ever been a “one-hit wonder”. You may not recognize him if you saw him walking down the street, but he still looks great today and will always be a hero to many of us. Paul still giving a thumbs up!